Traditionally, every wedding dinner has it&apos;s crowning moment with the cutting and serving of the tiered wedding cake. While I still see plenty of beautiful cakes, a growing trend that I no longer am shocked to see is an alternative dessert. One option that is gaining in popularity is the American favorite, yes the donut. Donuts are becoming popular at all times of the day, so why not incorporate them into your wedding day, especially if you aren&apos;t a fan of traditional cake. 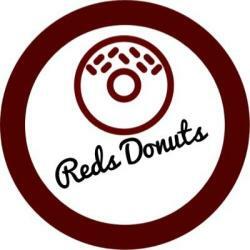 One Hendricks County donut shop, Red&apos;s Donuts in Danville, has recognized this trend and is offering options for couples who would like to serve donuts on their wedding day. Red&apos;s Donuts on the Square in Danville will soon celebrate their one-year anniversary on May 28, but they have already become a fixture in the community. Nolan Redwine (Red) started making donuts in Cincinnati at 14 and soon worked his way up to head baker of the donut shop where he worked. At only 19, with the help of his uncle, he moved to Danville and opened Red&apos;s Donuts! 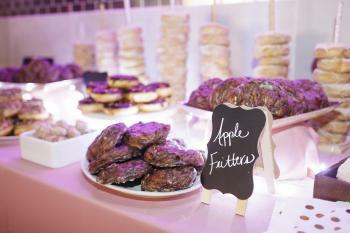 They offer more than 30 variations of donuts, so if you choose to serve them at your wedding, you can have options to please everyone on your guest list. They happily accept large orders with advance notice of at least two days, offer a 10% discount to orders over five dozen and even offer delivery options. So, if donuts are one of your favorite desserts, and you&apos;d like to incorporate them into your wedding menu, Red&apos;s Donuts would be a fantastic option to serve your guests.